Coffee lovers around the globe have a reason to celebrate. As of June 15, 2016, coffee has been taken off the list of carcinogenic products/substances. The International Agency for Research on Cancer (IARC), an agency of the World Health Organization tasked to evaluate scientific cancer research, had changed the classification of coffee from Group 2B to Group 3. 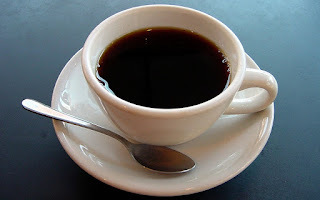 The reclassification simply means that coffee has been moved from a group of substances "possibly causing cancer", (specifically bladder cancer); to a group "not classifiable as to its carcinogenicity to humans"
The IARC is the leading authority when it comes to determining whether or not a substance is a carcinogen or not. They base their decisions on the aggregate results of numerous scientific studies and literature on a particular substance. The current Working Group assembled by IARC is composed of 23 scientists and seven observers, who reevaluated the classification status of coffee, based on more than 1,000 studies in humans and animals. They also evaluated the carcinogenicity of mate and very hot beverages. In a press release, IARC stated, "Many epidemiological studies showed that coffee drinking had no carcinogenic effects for cancers of the pancreas, female breast, and prostate, and reduced risks were seen for cancers of the liver and uterine endometrium". The Working Group also classified very hot beverages as "possibly carcinogenic to humans". A positive association was seen between cancer of the esophagus and drinking beverages above 65 °C or 149 °Fahrenheit, based on limited evidence from epidemiological studies. At home and elsewhere, coffee is usually consumed at around 140 degrees. Take note that in some fast foods or coffee shops, coffee is served very hot, anywhere from 160 to 185 °Fahrenheit to maintain or preserve its taste. At that temperature, coffee is literally scalding hot and already presents a burn hazard. But, as long as you don't drink coffee that's almost burning your lips, you're on the safe side. The same holds true when drinking tea and mate. When consumed at temperature that's not very hot, mate did not have any carcinogenic effects. The drink made from dried leaves of Ilex paraguariensis is usually consumed at around 70°C. We repeat, any drink above 149 °Fahrenheit, consider it a health hazard, cancer or not. Watch the documentary "Hot Coffee" to see another reason why very hot beverages can be dangerous. Anyway, with the new reclassification of coffee, lovers of coffee can now enjoy their drink without having to think about cancer. But remember, everything should be in moderation. Consuming too much coffee (above 500 mg), that is, 5 cups and above, might also cause other problems. Depending on how your system tolerates high caffeine intake, coffee can also causes insomnia, fast heartbeat, nervousness, and irritability, among others.